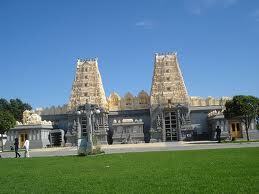 As all of you aware, I was very much involved as a volunteer with the Shiva Vishnu Temple from 1987 till 2002. I retired from the volunteering committee in 1992 and since then, in August 2012, I was asked to serve as one of the Trustees of the Hindu Cultural and Heritage Precinct. As the President of FIAV, I have also lobbied, assisted and encouraged alongside others in the Indian Community. Through these actions, the Victorian Government has contributed 1 Million Dollars towards the Temple Precinct. The Hon Nickolas Kotsiras and former chair of VMC Mr George Lekakis OAM worked tirelessly with us to achieve this goal. In establishing this great icon, the Sri Lankan, Fijian and Indian Communities have worked towards keeping our religion, faith and culture intact within the State of Victoria. As you are aware the Indian Origins are growing as the second largest Ethnic community in Victoria. Currently there are approximately 250,000 plus individuals of Indian origins in Victoria. The Sri Lankan community has worked very hard with some of our Indian and Fijian community members to achieve this great precinct. I sincerely thank the Sri Lankan community for their generous support. Within the precinct walls resides a Wedding Hall with a seating capacity of 700, a large commercial kitchen, a pure vegetarian canteen to cater our Hindu devotees, class rooms, a Hindu Library and a Meditation Room. Outside India, we have one of the most prestigious and largest Museums containing more than 1100 paintings about Indian history, Hindu mythology, Hindu Deities and much more. On behalf of the community, I sincerely thank Dr Dinesh and Dr Krishna Parikh for this wonderful gift to the community so that everyone may enjoy spoils of MUSEUM INDIA. Even though we have huge numbers, our Indian community have not expressed interest in this religious organisation and I think this is the time to get involved, contribute and strengthen this microcommunity. The current President, Dr Raghu Pendyala and Dr Sadanand Anavekar OAM as the chairman of the CHC trust work for the benefit of the Community here. On August 25th at 3 PM, the Hindu Society of Victoria has called for their AGM to elect the new management committee to take this organisation to the next stage to benefit our future generations. If you are the member of the HSV, I would strongly encourage and request you and your friends to attend the AGM and participate in selecting the team of likeminded individuals from all 3 community groups. If have not joined the HSV as a member please come in numbers on 25th August to visit the Precinct and Museum India and take up membership to support this wonderful precinct.